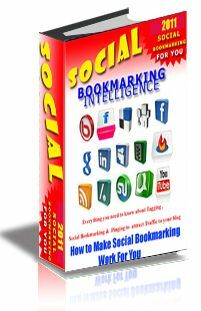 Learn the right way to generate new traffic to all of your websites by using free social bookmarking sites. The goal within this FREE e-Book is to present you with the resources, tips, and tools to apply to your niche and goal. Learn how to build online social media marketing strategies for your business, to drive massive web traffic toward your sites, increase your quality social media agenda, and improve your business.